Orchid Daze 2012, Hanging Gardens still looks magnificent in week 9. In fact the entire Orchid Center & Conservatory are at their spring best, full of flowers (and flower photographers) and bursting with color. The hanging tapestry of Pansy Orchids (Miltoniopsis) in the Conservatory Lobby is one of the most popular elements of the Orchid Daze display. 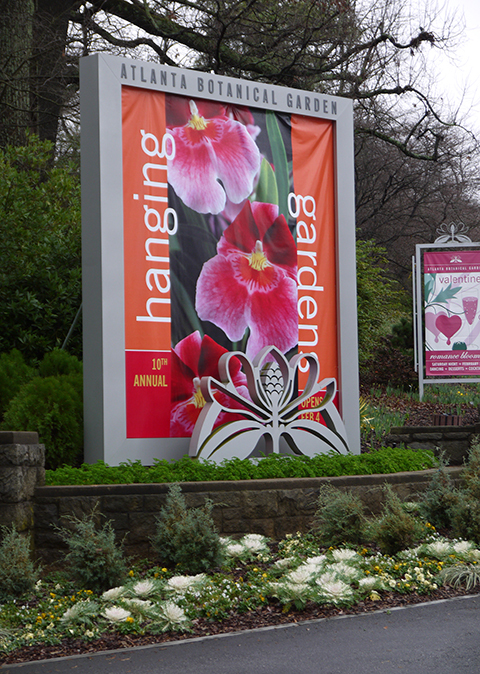 Pansy Orchids produce a wonderful fragrance--far better than any synthetic perfume. 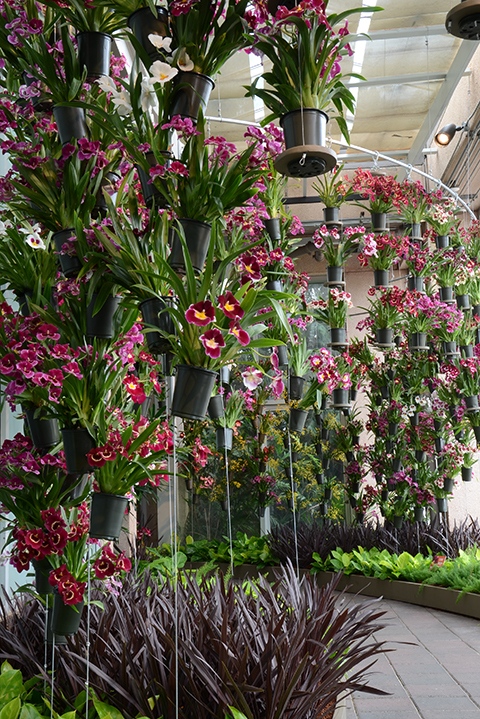 They are one of my favorite orchids for big displays, with bold, long lasting flowers, good presentation, fragrance--and they look great with fine textured orchids like Oncidium Twinkle. 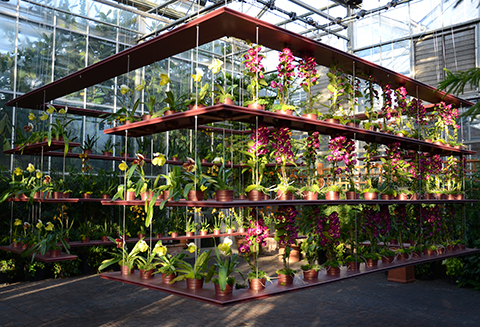 The modernist Cube in the Orchid Atrium allows visitors to appreciate the orchids at eye level. It has become a favorite stopping place for photographers. 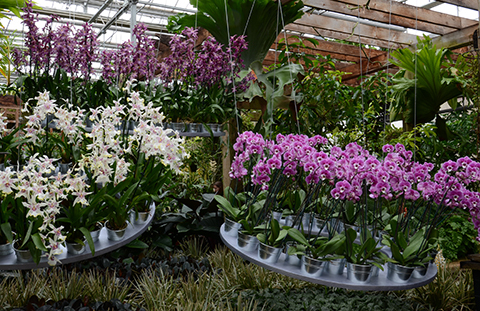 In the Orchid Display House three shimmering orchid rings hover above the Formal Bed.The metallic silver of the rings looks terrific with the cool colors of the Beallara and Phalaenopsis hybrids. 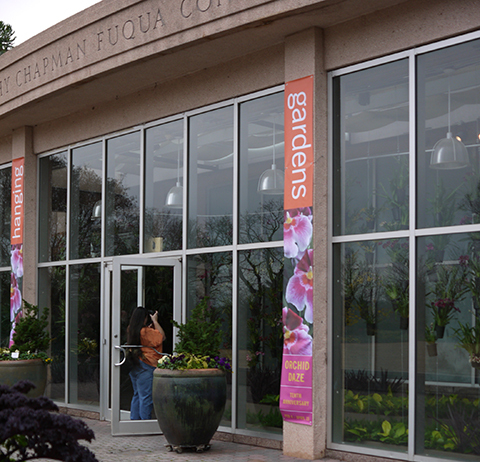 Orchid Daze 2012, Hanging Gardens runs through April 15. Be sure not to miss it!